Tech unicorns got a bounce in their step with Lyft Inc’s initial public offering valuing it at $22.4 billion after its first day of trading. Ride-hailing’s No. 2 provider in the U.S. first raised its target range and then expanded its offering to raise $2.34 billion. While the shares closed Friday up only 8.7 per cent compared with the 21 per cent surge at the opening bell, that’s still a validation by public investors of the company’s pre-IPO valuation, said Barrett Daniels, a Deloitte partner who specializes in IPOs. There’s no doubt that investors will continue asking whether private valuations for unicorns -- startups valued at more than $1 billion -- are out of sync with what those businesses will be worth when they go public. Some companies, such as Dropbox Inc., waited years to grow into ambitious private valuations and then more or less retain their value as public companies. Others, notably Snap Inc., rose to great heights on the public markets only to fall, and then fall some more. But the herd of unicorns looking to follow Lyft, which was valued at $15.1 billion in its last funding round, can be assured that public investors don’t think their private predecessors are deluding themselves. Perhaps watching most closely was Uber Technologies Inc., which is expecting to publicly file for its offering in April, kicking off a listing that could make the company worth as much as $120 billion, people familiar with the matter have said. Other companies considering going public before the end of the year -- Pinterest Inc. and Slack Technologies Inc. to name a couple -- will also be evaluating Lyft’s success, especially after the federal government shutdown made for a chilly start to the year for U.S. IPOs. San Francisco-based Lyft sold 32.5 million shares for $72 apiece after initially marketing 30.8 million shares at $62 to $68 each. It increased the range to $70 to $72 the day before the IPO was set to price. The shares opened Friday on the Nasdaq Global Select Market under the ticker LYFT at $87.24 -- 21 percent above the IPO price. They closed at $78.29. After Lyft’s co-founders Logan Green and John Zimmer rang the Nasdaq opening bell from a driver center in Los Angeles, shares took more than two hours to start trading. Zimmer said they decided to forgo the traditional opening ceremony on the floor of the exchange to be with the company’s drivers. Green and Zimmer will maintain near-majority control of the company through Class B shares that carry the voting rights of 20 ordinary shares. As the first big U.S. technology listing of the year, all eyes are expected to remain on Lyft as a litmus test for public market investors and their appetite for money-losing tech companies. This month, Lyft disclosed in its IPO filing with the Securities and Exchange Commission that it lost $911 million on revenue of $2.2 billion in 2018. That compared with a loss of $688 million on revenue of $1.1 billion the previous year. Investors didn’t seem to mind that the company was losing money. Last week, after just two days of marketing to investors, Lyft’s listing was oversubscribed. By Friday, Lyft ended up selling more shares than planned at the top of the already elevated price range. The lead bankers for the offering -- JPMorgan Chase & Co., Credit Suisse Group AG and Jefferies Financial Group Inc. -- presented over nine days to more than 600 investors, said a person familiar with the matter who asked not to be identified because the meetings were private. In all, more than two dozen banks were listed in the company’s filing as participating in the offering. JPMorgan served as the stabilization agent, giving it a chance to earn additional fees by ensuring the first day of trading went smoothly with limited stock price fluctuations. Lise Buyer, a partner in the IPO consulting firm Class V Group that advised Lyft, praised the banks for a successful debut. Of the 22 tech and internet companies that have raised $1 billion or more in U.S. IPOs, Lyft ranks seventh. That was just behind last year’s $2.4 billion listing by the Chinese video service iQiyi Inc. and ahead of Twitter Inc.’s $2.1 billion offering in 2013. Alibaba Group Holding Ltd. tops the list at $25 billion in 2014 -- the largest-ever U.S. IPO -- followed by Facebook Inc.’s $16 billion listing in 2012. 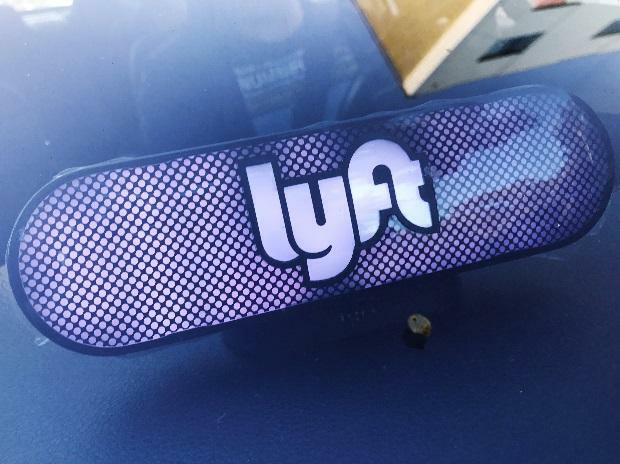 While Lyft’s shares drifted downward from their opening pop, their 8.7 percent bump up at the close ranked the company’s first day of trading as 10th best of the group. Attention-grabbing tech listings often soar on their first day of trading. Snap closed its first day of trading up 44 percent in 2017, while Alibaba finished its debut up 38 percent. Snap now trades at less than two-thirds of its listing price while Alibaba has almost tripled its market value. Lyft’s offering fulfilled a key strategic goal for the company: beating Uber to the market. The company’s appeal to investors hinged on the potential for ride-hailing to replace car ownership. Zimmer likened the displacement of car ownership to cable television cord cutters.